Robert Storrie Guthrie, seaman and trade unionist, was born at Partick, near Glasgow, Scotland, on 17 November 1856. He was the son of Andrew Guthrie, a joiner, and his wife Elizabeth, née Storrie. He was educated at Glen’s School, Glasgow. At the age of fifteen, Guthrie became a ship’s apprentice. In 1876, he arrived in Australia, only staying a short time before leaving for China. In 1878, he returned to Australia, signing up for work in the South Australian coastal trade. His experiences at sea left him with an abiding concern for the safety and working conditions of seamen. After a decade in the coastal trade, Guthrie left the sea. In January 1888, he was elected secretary of the South Australian branch of the Federated Seamen’s Union of Australasia. He was later federal president for many years. He was a delegate to the United Trades and Labor Council of South Australia and was also president of the Maritime Labor Council in 1890. During the maritime strike of 1890, he represented the South Australian branch of the Seamen’s Union at the Union’s defence committee conference in Sydney. In 1906, Guthrie was elected president of the reconstituted Seamen’s Union of Australia, remaining president until 1917, when he was asked to resign over the conscription issue. Later, he occasionally spoke against the Union in Parliament. 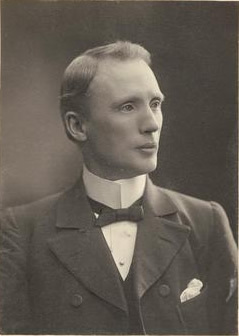 In 1891, Guthriebecame one of the first three Labor members of the South Australian Parliament following a vigorous campaign in which he came second to David Charleston in the poll for the Central District of the Legislative Council. Holding the seat until 1903, Guthrie strove to improve the conditions of seamen on South Australian vessels, especially in relation to the establishment and marking of load lines. It was largely due to Guthrie’s strenuous efforts in the Council from 1891 that the load line issue was resolved by the passage of the Marine Board and Navigation Act Amendment Act 1894, Guthrie introducing the legislation during C. C. Kingston’s Liberal Government (1893–99). However, Guthrie was less successful with his Merchant Seamen Bill of 1896, which provided that only properly trained seamen should hold responsible positions on board ships, and which, though it passed the Council, lapsed at the prorogation of Parliament. Guthrie, who had referred to Federation as having been ‘launched on its maiden trip in a sea of champagne’, had a regard for the demands placed upon the delegates at the 1897 federal convention in Adelaide, considering it ‘the work of a lifetime for a man to become a constitutional authority’. In 1903, he resigned from the Council and stood, successfully, at the second federal election, for the Senate. As W. M. Hughes wrote later: ‘He was a Senator now, but the sea still had him in its coils’. Guthrie’s main contribution to the Federal Parliament was in the framing of the Navigation Act 1912. He was a member of the royal commission on the Navigation Bill (1904–07) and subsequently participated in the debates on the legislation. The royal commission undertook a comprehensive investigation of the shipping industry in Australia. It documented the increasing use of foreign labour in Australian and international sea trade. It recommended for further consideration preference for British shipowners and producers in Australian trade, employment of British seamen, the extension of the Workers’ Compensation Act to cover seamen and light load lines for vessels. These issues were close to Guthrie’s heart. During the proceedings of the commission, Guthrie’s knowledge of the maritime industry was put to good use in the interrogation of witnesses. Time and again, he asked questions about the poor wages and unhealthy conditions on ships, the long hours of work, the lack of protection to seamen if injured, and the exploitation of seamen by masters who forced men to desert to avoid paying wages. He highlighted the plight of seamen who were engaged in dangerous work and yet were excluded from the benefits of workers’ compensation legislation. Moreover, he pressed continually to uncover evidence that ships were overloaded, unseaworthy and dangerous. At times, his grasp of complex technical knowledge overwhelmed his Senate colleagues. This was especially evident during debate on load and deck lines when, on one occasion, Guthrie argued against a proposal from his own party. To the delight of the Opposition, he vigorously opposed the load provisions in the Bill, which he said, failed to deal with the deck line problem. One of the opposition senators, Edward Millen, cheerfully conceded that ‘the merits of the dispute are with Senator Guthrie’. But Guthrie’s efforts were stalled by the argument that Australian legislation should not differ in principle from imperial legislation. Guthrie had little time for such arguments. In his view, if the imperial authorities objected, ‘the Commonwealth will have to get up on its hind legs and fight them’. Nonetheless, the final legislation owed much to Guthrie’s efforts, and in some quarters was spoken of as the ‘Guthrie Act’, earning him a reputation as ‘Australia’s Plimsoll’, and even the ‘load line Senator’. But his interests went beyond the sea. Guthrie served for fourteen years on the Senate’s standing orders committee and participated in two Senate select committee inquiries. In 1909, he was a member of the select committee which found that press cables were under the ‘unhealthy monopoly’ of the Australian Press Association (which owned the Argus and the Sydney Morning Herald), thus increasing the centralisation of power in Melbourne and Sydney. Guthrie, coming as he did from South Australia, supported efforts to break this monopoly. The committee recommended the completion of new cable routes, subsidies for other cable services to promote competition and the use of the Australian High Commission in London as a source for the dissemination of press cables. In 1911, despite reservations about British imperialism, he was a member of the parliamentary delegation to the coronation of King George V.
In 1913, Guthrie was appointed to the Senate select committee on the Fitzroy dock. The naval board had closed the dock at Garden Island because of unsafe boilers. As a consequence, a number of skilled employees had lost their jobs. The committee found, however, that the boilers were not unsafe, but merely in need of replacement. Moreover, work arrangements were unsatisfactory at the dock, largely due to poor management. The report concluded that the closure of the dock was an attempt by the naval board to prevent the building of Australian warships, preferring instead to purchase imperial warships. The committee reported that the naval board was unsuited to the management of the dock. Neither committee had much effect, but both were vehicles for Guthrie to press his claims as a stout defender of the common man against monopoly and exploitation. In 1916, like many Labor parliamentarians, Guthrie faced his biggest political test. When the Labor Party split over conscription, he followed Hughes out of the party to help form a new National Labour Government—later the Nationalists. At the subsequent election of May 1917, Guthrie, who had sons fighting in the war, was elected as a Nationalist senator. Despite this shift in party allegiance, Guthrie remained a Labor man at heart. He continued to support legislation to give working men the right to a fair wage, preferring to tax ‘big squatters’ in order to support decent wages and conditions. In 1920, he was one of two Australian representatives at the second International Labour Conference at Genoa, Italy. On 19 January 1921, Guthrie was knocked over by a tram on the corner of Collins and Swanston Streets, Melbourne. He did not regain consciousness and died the next day. After a state funeral in Melbourne, he was buried in Cheltenham Cemetery, Adelaide. His wife, Janet, née Deer, whom he had married on 8 November 1881, survived him. There were seven children of the marriage, of whom five, Lily, Eleanor, Andrew, Herbert and Jenny, outlived their father. Two sons, Robert Storrie and Glwn, had been killed in action in World War I. Hughes, who as chairman of the royal commission on the Navigation Bill had worked closely with Guthrie, said: ‘Senator Guthrie helped to make the industrial history of Australia. He devoted his life to bettering the conditions of those who go down to the sea in ships’. Peter Cook, ‘Guthrie, Robert Storrie’, ADB, vol. 9; Advertiser (Adelaide), 21 January 1921, p. 7; D. J. Murphy (ed. ), Labor in Politics: The State Labor Parties in Australia 1880–1920, UQP, St Lucia, Qld, 1975, pp. 231–232, 283; Brian Fitzpatrick and Rowan J. Cahill, The Seamen’s Union of Australia, 1872–1972, A History, Seamen’s Union of Australia, Sydney, 1981, pp. 42–43, 61, 63. SAPD, 21 October 1891, p. 1634, 28 October 1891, p. 1742, 11 November 1891, pp. 1939–1940; Murphy, Labor in Politics, pp. 231–232, 246, 283; SAPD, 19 September 1894, pp. 1404–1411, 3 October 1894, p. 1652, 17 October 1894, pp. 1834–1843, 24 October 1894, p. 1931, 4 November 1896, pp. 280–282, 11 November 1896, p. 340, 16 December 1896, pp. 492–498. Ross McMullin, The Light on the Hill: The Australian Labor Party 1891–1991, OUP, South Melbourne, 1991, p. 32; SAPD, 21 July 1897, p. 87; W. M. Hughes, Policies and Potentates, A & R, Sydney, 1950, p. 112; CPD, 18 November 1904, p. 7164, 14 December 1905, p. 6964, 18 November 1904, pp. 7160–7167. CPP, Report of the royal commission on the Navigation Bill, 1907; The members of the commission were all senators and members of the House of Representatives; CPP, Report of the royal commission on the Navigation Bill, 1906; CPD, 2 October 1908, pp. 690, 697, 701, 714–715, 7 October 1908, pp. 805, 810, 812–814, 820, 823–824, 830–831, 833–835, 27 September 1910, pp. 3730–3733, 31 October 1912, p. 4893, 6 April 1921, p. 7174. CPP, Report of the select committee on the press cable service, 1909. CPP, Report of the select committee on the Fitzroy dock, 1913. CPD, 26 November 1920, pp. 7078–7079; Advertiser (Adelaide), 21 January 1921, p. 7; Bulletin (Sydney), 27 January 1921, p. 14; Westralian Worker (Kalgoorlie), 4 February 1921, p. 6; Age (Melbourne), 21 January 1921, p. 7. This biography was first published in The Biographical Dictionary of the Australian Senate, vol. 1, 1901-1929, Melbourne University Press, Carlton South, Vic., 2000, pp. 168-171.